The last of my September posts concerns Jeremy Corbyn's curiously Israelrein address to the Labour Friends of Israel (shame on the sycophants who applauded and cheered him, and well done Michael Foster! ); the first of my October posts concerns the wider Middle East, and is the latest article by Sydney lawyer and international affairs analyst David Singer. President Obama’s continuing focus on removing Syria’s President Assad to secure America’s co-operation with Russia to destroy Islamic State – whilst President Putin has now independently commenced Russian air strikes in Syria – supposedly on Islamic State forces – exposes both leaders lack of credibility and political judgement. … Yes, realism dictates that compromise will be required to end the fighting and ultimately stamp out ISIL. But realism also requires a managed transition away from Assad and to a new leader, and an inclusive government that recognizes there must be an end to this chaos so that the Syrian people can begin to rebuild." 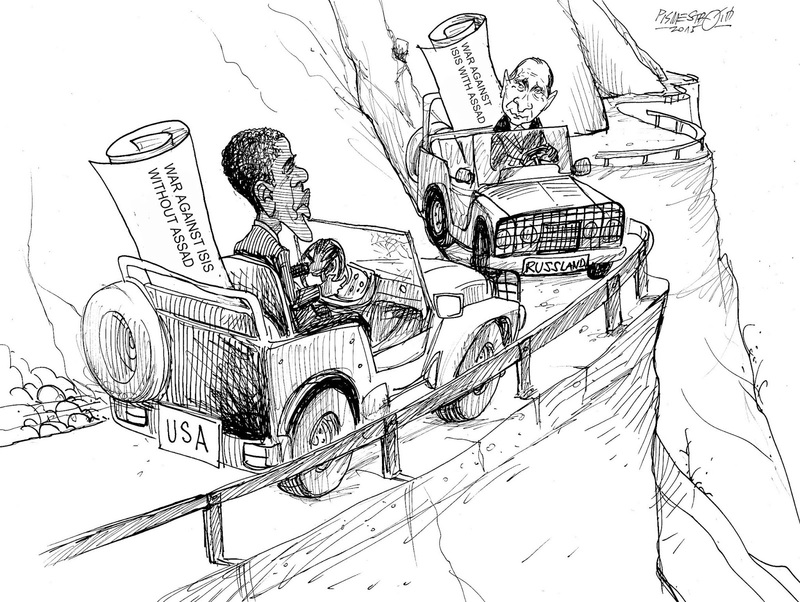 Obama’s acceptance of Russia and Iran as acceptable partners – but not Syria – makes no sense. 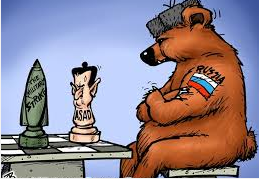 Russia and Iran have propped up Assad’s hold on power in Syria for the last five years enabling the bloodshed and carnage in Syria to continue unabated. Putin’s undisguised contempt for the American-led coalition’s efforts to degrade and destroy Islamic State is a harsh – and arguably unfair – indictment. Eight days later – after three days of negotiations between America and Russia – the Security Council in fact adopted a resolution – jointly sponsored by America and Russia - on destroying chemical weapons in Syria - contrary to Obama’s belief that such co-operation was not possible. Concentrating on their commonly agreed problem – destroying chemical weapons – and not who fired them – averted any possible Security Council paralysis. Similarly Russia and America need to concentrate on jointly destroying their common agreed enemy – Islamic State – under a UN mandated Security Council Resolution – rather than acting independently – and dangerously – of each other whilst arguing about Assad’s fate as President or Syria’s inclusion in any proposed UN force. “Russia stands ready to work together with its partners on the basis of full consensus, but we consider the attempts to undermine the legitimacy of the United Nations as extremely dangerous. They could lead to a collapse of the entire architecture of international organizations, and then indeed there would be no other rules left but the rule of force. With Russian airstrikes seriously escalating the conflict in Syria, Obama and Putin need to urgently sponsor that Security Council resolution before the Syrian sinkhole opens even wider.